Should cities sue fossil fuel companies for climate change costs? West Coast Environmental Law and 50 community groups want B.C. municipalities to demand fossil fuel companies pay a literal price for climate change adaptation — and are threatening legal action if they won't pay up. The B.C. government says Metro Vancouver could spend $9.5 billion by the year 2100 adapting to climate change. Should fossil fuel corporations foot the bill? 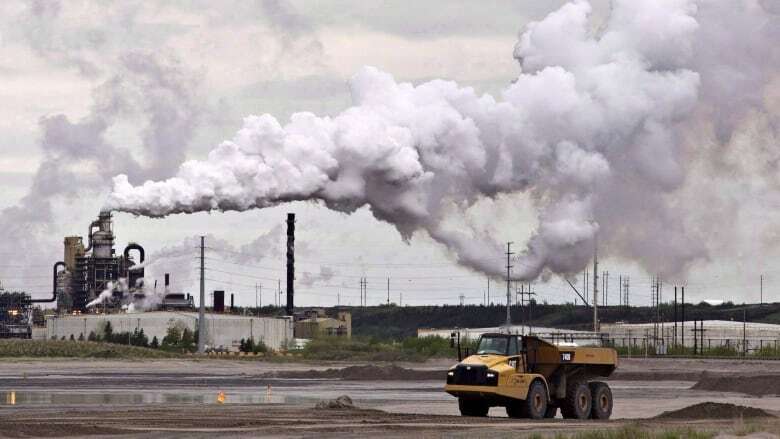 West Coast Environmental Law and 50 community groups are urging municipalities to hold carbon-polluting companies accountable for the costs of adapting to climate change. Staff lawyer Andrew Gage is asking cities to send letters to fossil fuel companies telling them they should be prepared to pay, and then to consider suing those companies if they aren't willing to buck up. "We're asking them to be public about the fact that we expect the world's fossil fuel companies to pay their fair share and it's not just taxpayers who are going to be paying," he told On The Coast host Stephen Quinn. "In many cases, we're already incurring more costs. When we're building new infrastructure, climate change is being baked into the considerations. "So these aren't all future costs. Some of them are occurring now. But certainly in a letter to the company there's nothing wrong with saying we expect to see more costs and we want your commitment now that you will be paying your fair share." Gage says his environmental law firm has some draft letters for cities to use and has compiled a list of the largest fossil fuel companies and their contributions to climate change so far. While B.C. 's carbon tax does aim to hold polluters responsible, it only applies to companies operating within B.C. The goal of his proposed actions are to hold companies operating outside of the province but still contributing to global climate change affecting B.C. responsible. "The law does allow you to claim for harm that occurs in B.C. courts even if the causes are global," he said. "We wouldn't have suggested [legal action] if we didn't think it was possible … We're certainly happy to share the legal research with the lawyers of any local government." Gage says the point of these efforts isn't to make a moral argument but to ensure a safe and secure climate. He says if fossil fuel companies had to pay "even a fraction" of the costs of climate change, they would be moving quicker on adopting renewable energy. To hear the full interview, click the audio labelled: Should cities sue fossil fuel companies for climate change costs?